The beauty of this timeless legend is beautifully encapsulated in this stunning full-length gown. The elegant silver gray fabric is lined with a matching polyester, while the sleeves are made of a lace-up brocade. 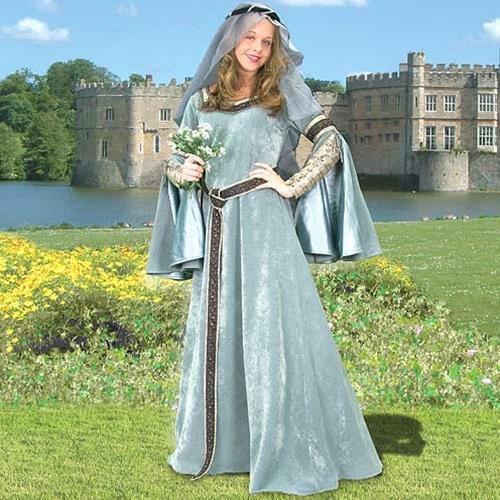 Hand beaded trim, a period length belt and matching veil with circlet make this a stunning medieval ensemble. Large only.